Thursday, May 25, 2017 7:00 PM Charlottesville High School AWAY 4 Midlothian High School HOME 11 Game Recap ..
Monday, May 22, 2017 7:15 PM Charlottesville High School AWAY 17 Western Albemarle High School HOME 19 Game Recap …. Tuesday, May 9, 2017 7:15 PM Western Albemarle High School AWAY 14 Charlottesville High School HOME 11 Game Recap …. Monday, March 27, 2017 7:15 PM Charlottesville High School AWAY 15 Monticello High School HOME 11 Game Recap ..
Tuesday, April 25, 2017 7:15 PM Fluvanna County High School AWAY 1 Charlottesville High School HOME 18 Game Recap . 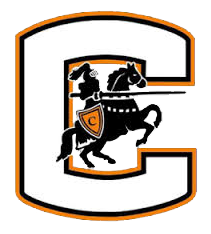 Saturday, March 4, 2017 12:00 AM Charlottesville High School AWAY 7 Hanover High School HOME 10 Game Recap …..
Tuesday, April 18, 2017 6:00 PM Powhatan High School AWAY 10 Charlottesville High School HOME 15 Game Recap ……..